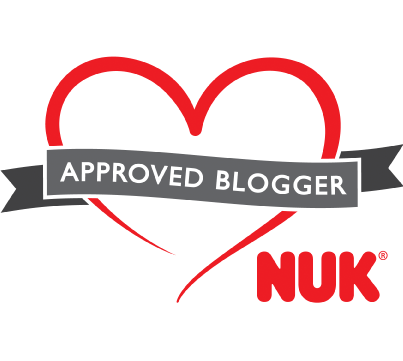 Nature's Purest Natalie Ragdoll from Little Chickie (£24.99) - Dolls are a popular toy choice for both girls and boys, especially as their imaginations begin to grow and they can enter an imaginary world of role play. 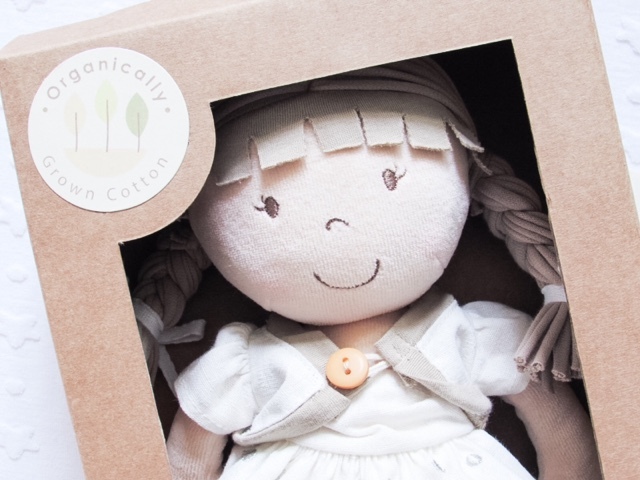 Nature's Purest Natalie Ragdoll is award winning, organic and comes packaged in this beautiful recycled card gift box. 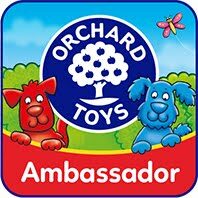 It's incredible soft and light, making it ideal for younger children who want to play/carry around a ragdoll. Some of the plastic alternatives can be quite heavy for little arms. 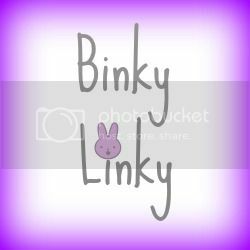 Little Chickie also has a range of other ragdolls with different hairstyles, hair colours and clothes. 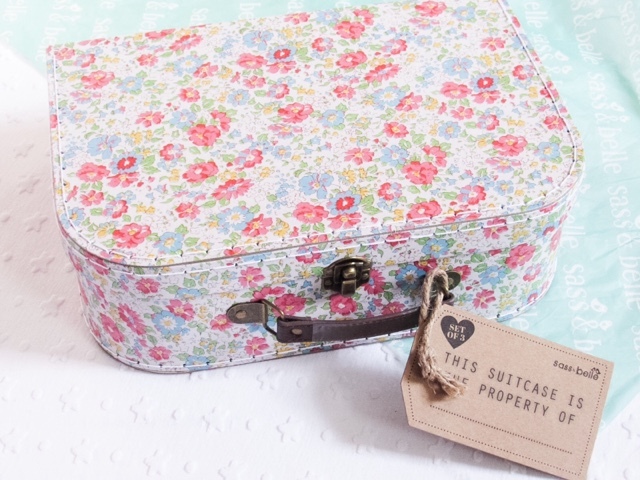 English Garden Suitcases Set of 3 from Sass & Belle (£20) - Sass & Belle are known for their floral prints, quaint home accessories and cute gifts. 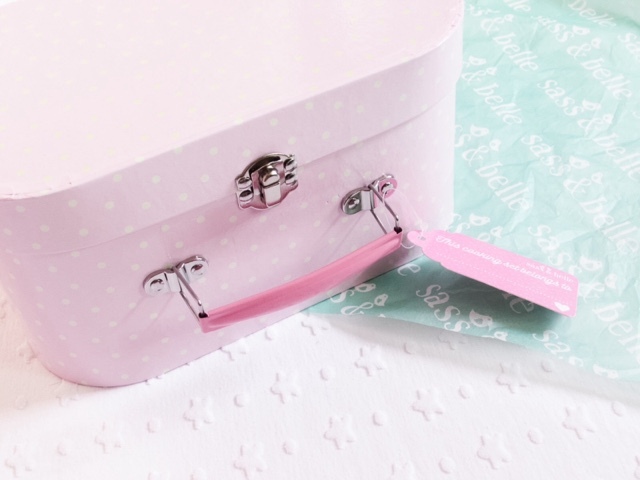 This set of 3 suitcases not only look beautiful, but are also practical storage for a birthday girl's bedroom. 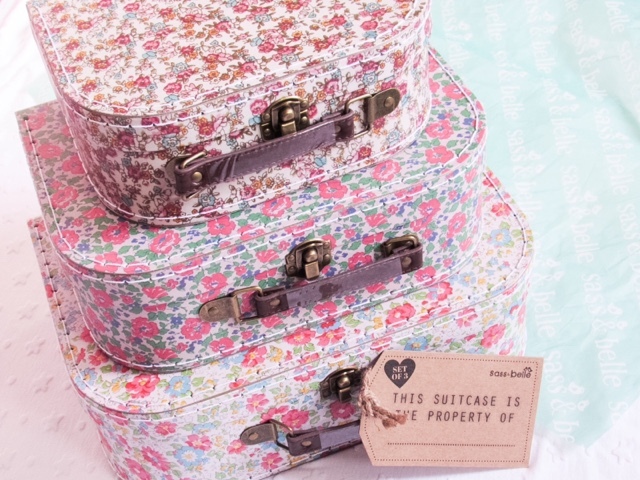 The English Garden pattern isn't the only option Sass & Belle have to offer for these suitcases, there are 21 other designs aimed at both girls and boys. Having these stacked up means that you have easily accessible storage for clothes/toys that looks much nicer than many other storage options. Children will also enjoy carrying these suitcases around during imaginary play...holiday anyone?! 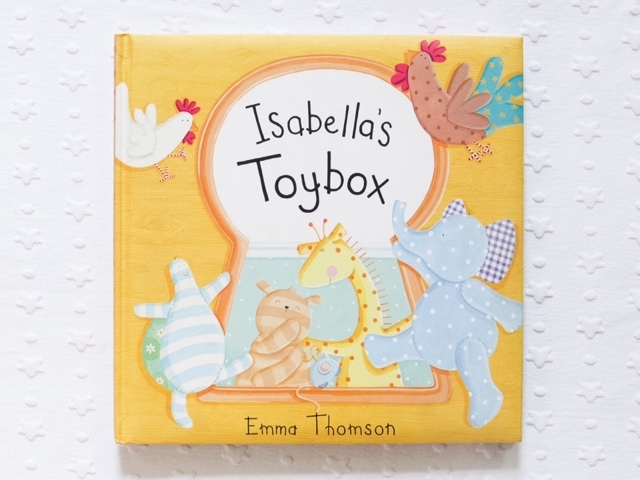 Isabella's Toybox Book from amazon (£9.99) - Searching around for a book that features your child name is a fun way of making them feel special. Isabella's is very aware of what her name is now and that awareness will only increase. 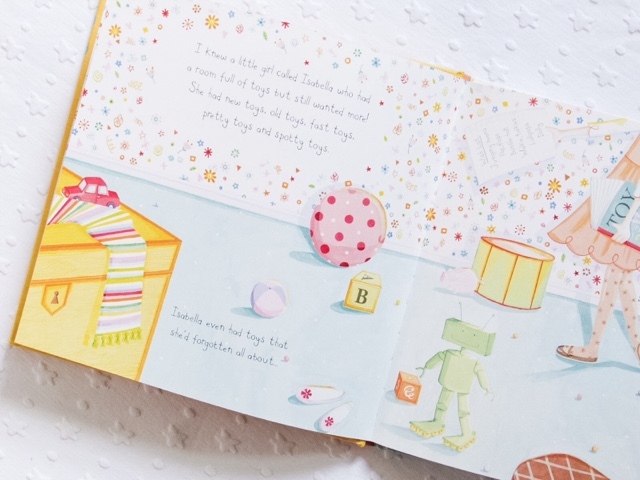 You could of course have a personalised book made, but it is often more affordable to find a book that already has a character with the same name. I found Isabella's Toybox book on amazon by searching 'Isabella' and 'book', using this technique is a quick way of finding out which books are available. 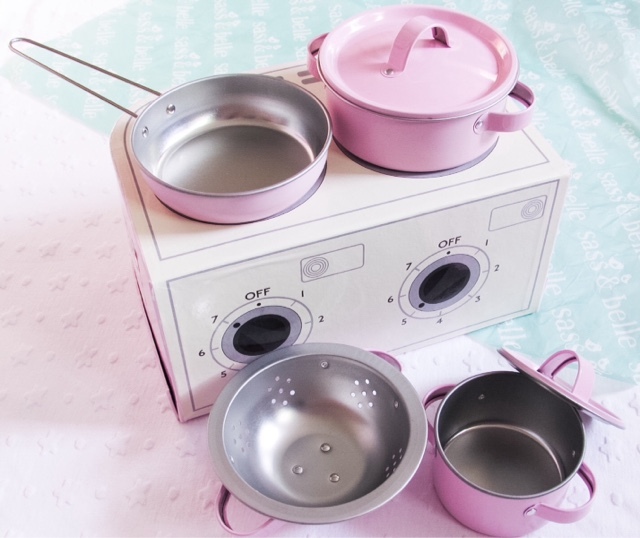 Kids Kitchen Cooking Box Set in Pink from Sass & Belle (£20) - Play kitchens and food are loved by many children, as they cook up a range of tasty delights and serve them to any willing volunteer. At Isabella's nursery there is a play kitchen and during her settling in sessions it's all she played with. The food was perfect for munching on and she loved putting the saucepans on and off the hob. However one problem with play kitchens is that they can take up a lot of space. 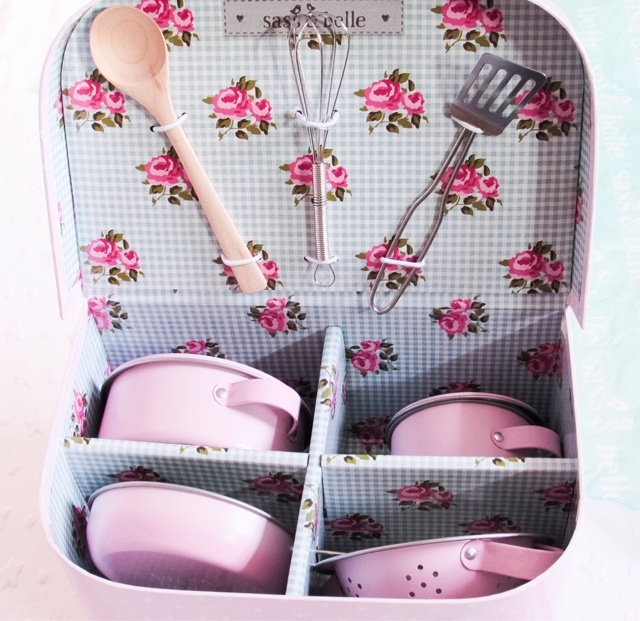 This Sass & Belle Cooking Box offers a much more compact set that children can do play cooking with. 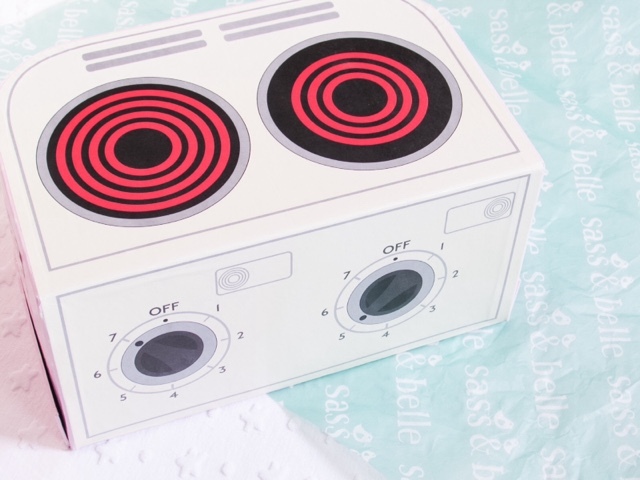 It comes with three saucepans, one colander, three utensils and the box is designed to represent a double hob. It's also a brilliant size for taking on holiday/family or friends houses/day outs etc. You can also pick this up in a red floral pattern too. 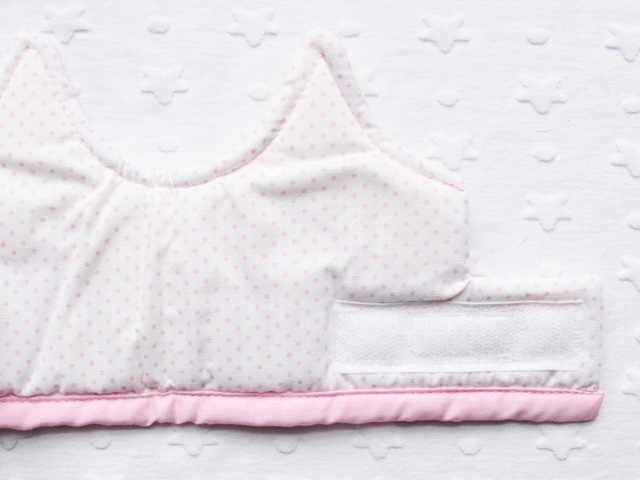 Special Clothes - Babies do a lot of growing and are always needing new clothes. Buying extra special clothes or ones that would usually be too expensive to justify make lovely treats for a birthday girl/boy. 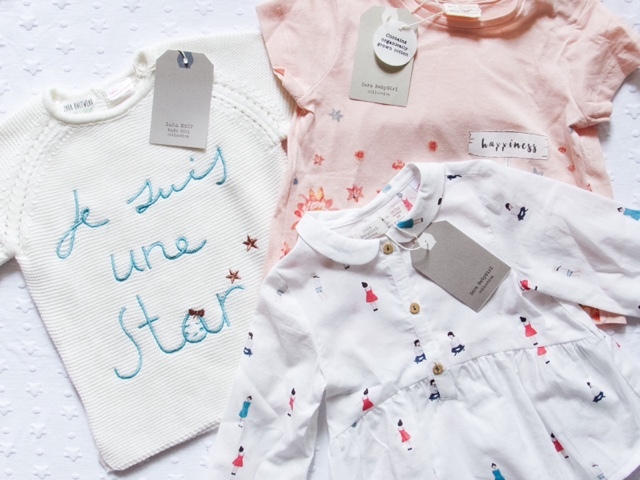 We picked up these pieces from Zara and although I absolutely love Zara baby clothes I would usually only buy them in the sales. These were full price, therefore making them feel extra special and a real treat. 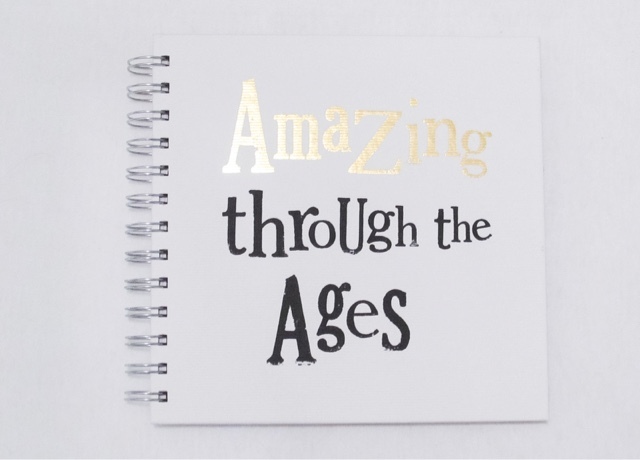 The Bright Side 'Amazing though the Ages' Memory Book from amazon (£10.99) - This memory book is the ideal place to record key information at each birthday, all the way until they're 21 years old. 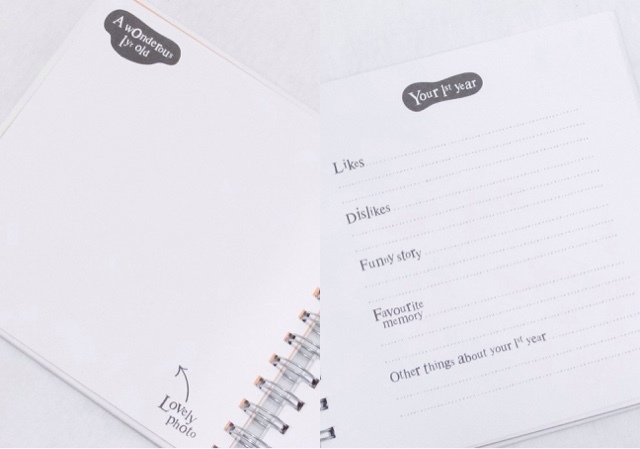 There's a page for photographs and a space to record likes, dislikes, funny stories, favourite memories and any other special moments. 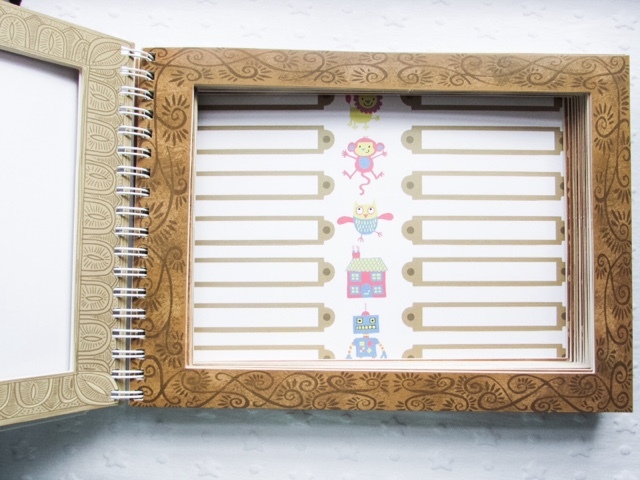 I love the idea of being able to give this book to Isabella when she's 21, so that she can look back at every single birthday she's had and how she's changed/grown up. 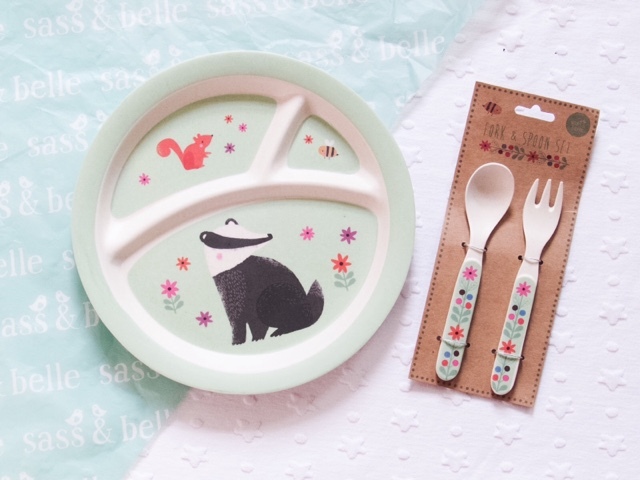 Woodland Friends Kids Plate (£4) and Cutlery Set (£2) from Sass & Belle - Children are often wanting to become more and more independent, especially when it comes to eating. Using plates with various sections means that we can prepare a full meal for them to enjoy independently. The woodland designs of this plate and cutlery are just so cute, they're also dishwasher safe making our job even easier! 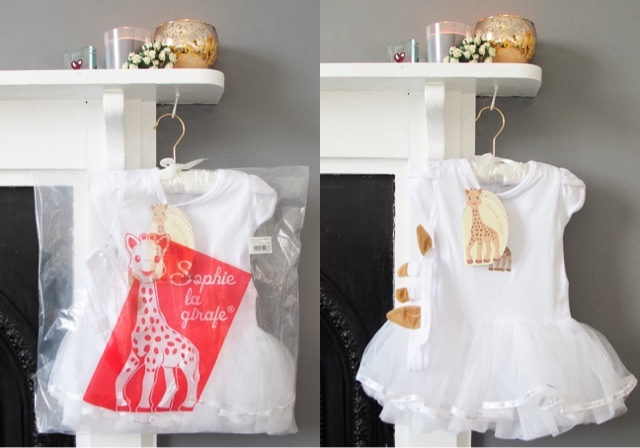 Sophie La Girafe Tutu from Sophie La Girafe (£24.99) - Which little girl wouldn't want a tutu for their birthday?! The full-skirted tutu is finished with a delicate Sophie La Girafe ribbon, which adds an extra special touch. The quality and luxurious touches are outstanding, just the fact it comes in a full length protective bag made me very happy! Your little one could wear this tutu bodysuit for a special occasion or while playing fancy dress (that's the next World Book Day at nursery sorted!) This is available in sizes 3-6 months, 6-12 months, 12-18 months, 18-24 months and 2-3 years. 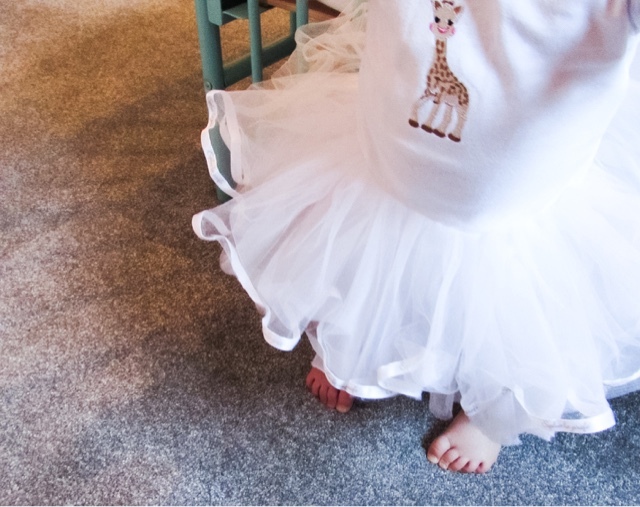 The tutu also comes with a very cute giraffe headband, ideal for that dressing up finishing touch! 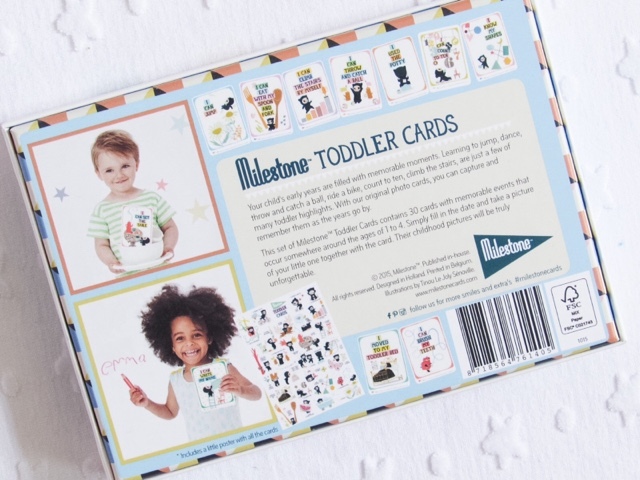 The Original Toddler Cards from Milestone (£12.99) - You may be familiar with the very popular Pregnancy and Baby Milestone cards, we used them both throughout pregnancy and during Isabella's first year of life. 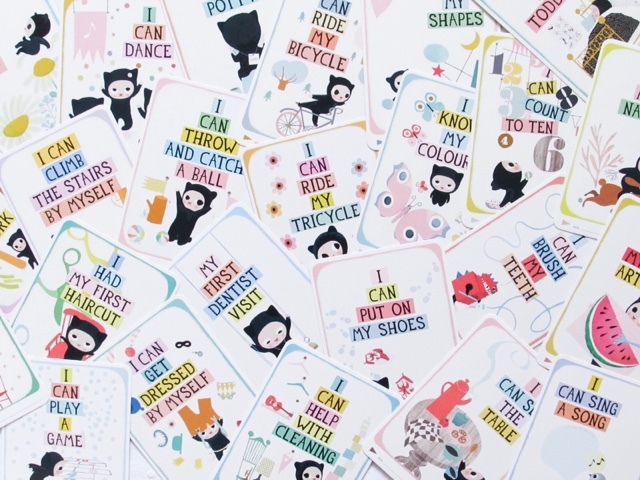 They have now bought out a set of Toddler cards aimed at 1-4 year olds. Each card has somewhere you can record the date and then you take a picture of the card with your little one once they've achieved the milestone. Capturing these moments is so special, as busy lives can often mean when key milestones were met aren't recorded or remembered. 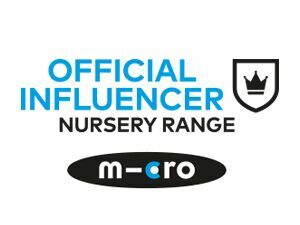 I also like using them as an insight to the skills Isabella will be learning over the next few years, at the moment it is strange to think she'll ever be dressing herself or counting to 10! Blade & Rose I am 1 Leggings from Little Chickie (£10) - We love Blade & Rose leggings, their designs are fun, vibrant and ideal for little crawlers. These 'I am 1' leggings come in blue or pink and are just so fun as part of a first birthday outfit. 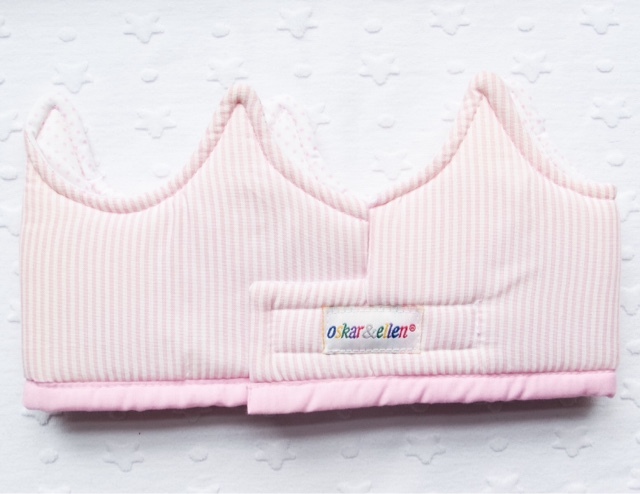 The quality is outstanding, the fabric is thick so they're warm and very comfortable for little ones to wear. I'll certainly be dressing Isabella in these after her birthday too, after all she will spend a whole year being 1! 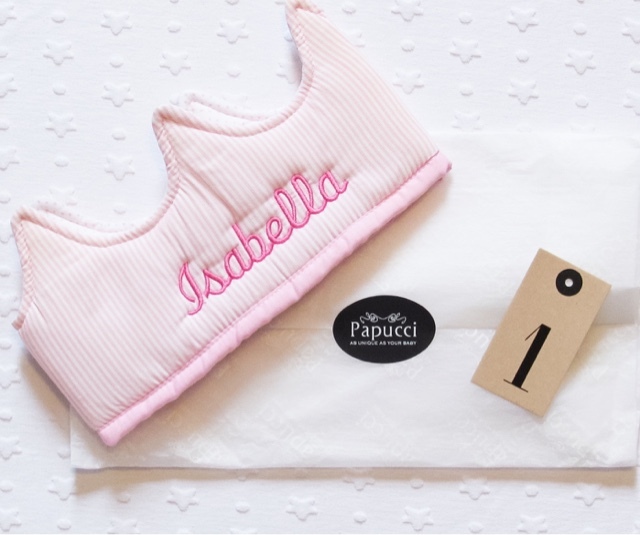 Personalised Fabric Crown in Pink from Papucci (£19.50) - How brilliant is this Personalised Fabric Crown? Crowns were made for birthday girls and boys! You can pick up this crown in either pink or grey, with your choice of font and thread colour for the writing. I opted for the Athletic Flair font and Dark Pink thread, which I couldn't be happier with. There is a velcro fastening on the back of the crown, so it will grow with Isabella and she'll be able to play dressing up with it for years to come. 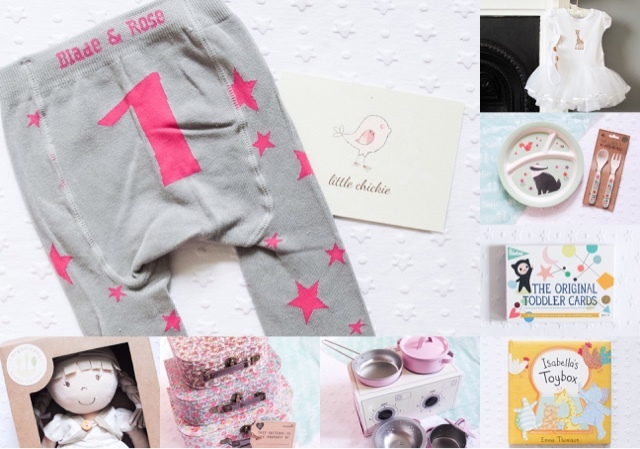 Gifts and products from Papucci always come in the most beautiful presentation gift box (see the Papucci Personalised Dressing Gown in their gift box in my Christmas Gift Guide: For Babies), which makes them the perfect present for a lucky recipient. 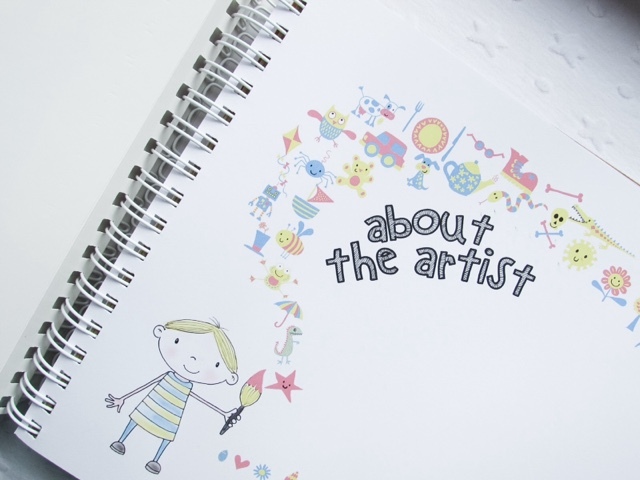 Children's Artwork Holder Book from FromLucy on notonthehighstreet (£20) - Capturing and remembering those adorable pieces of 'artwork' children create can be a challenge. As children turn one they will start to be able to mark make, therefore creating such special first pieces of 'artwork'. I know that looking back on my childhood drawings not only feels so nostalgic but also provides many laughs too! 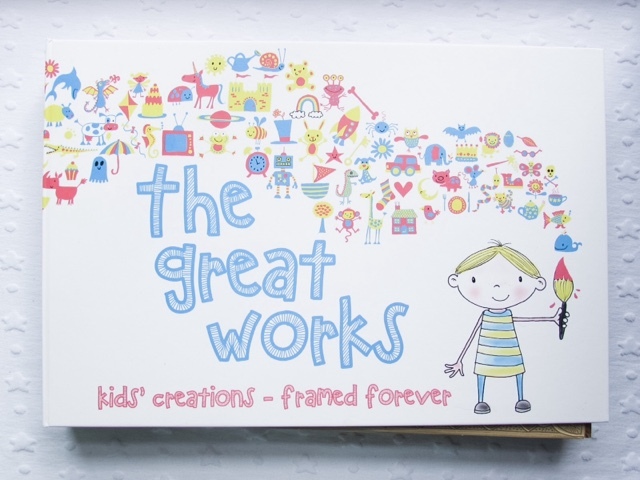 This folder contains 15 double sided high quality card pocket pages in which you can frame 30 of your favourite drawings/painting from your child. 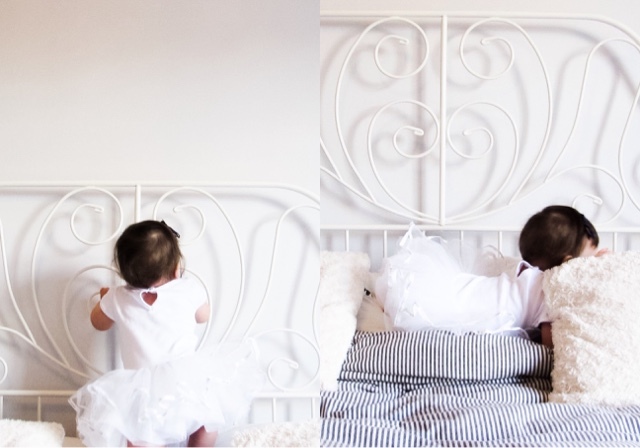 It keeps them safe and is such a special keepsake for them to look back on when they're older. 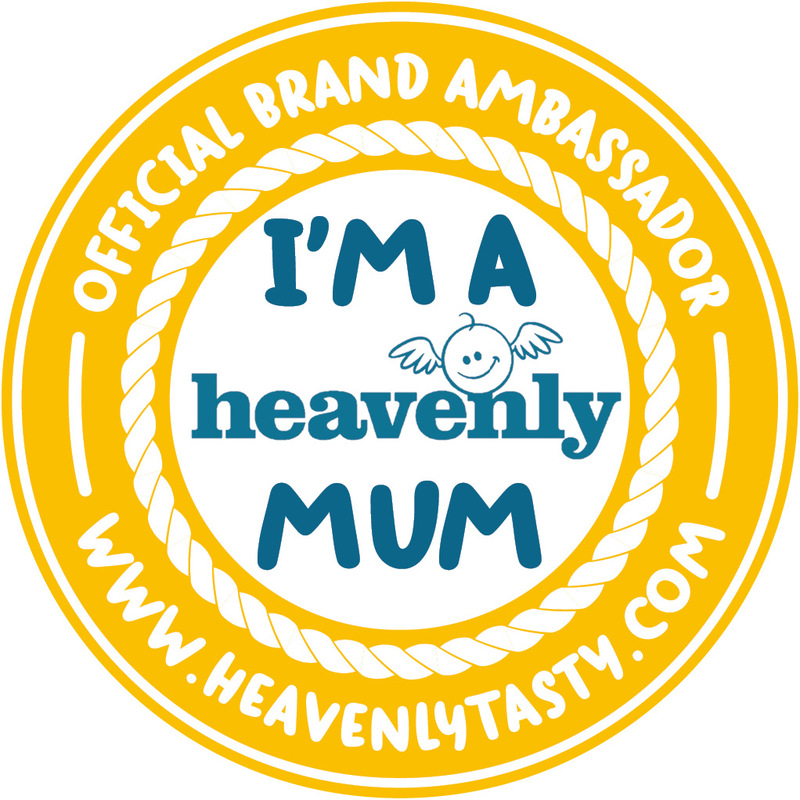 Have you got any other first birthday gift ideas? 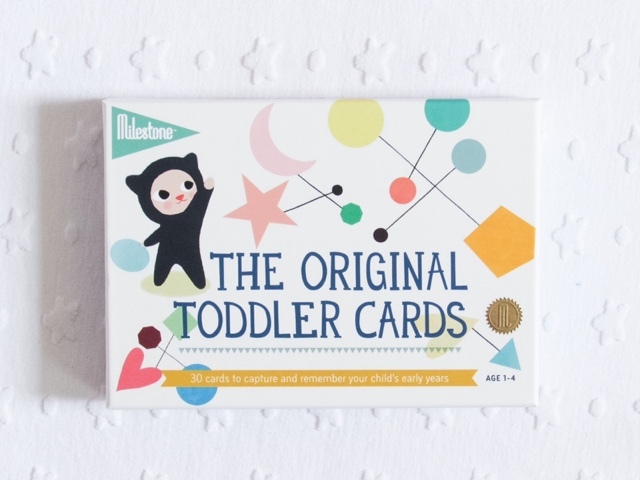 I didn't realise they did toddler milestone cards. I never bought the baby version for James and have regretted it for a while now!